A long-standing (since 1971) Canadian environmental magazine. Each issue revolves around a theme including articles on the arts. Alternatives is by subscription, but their website contains selected articles online. standards and various eco-technologies. Completion date: Fall 2011." Patricia Watts curently heads the organization ecoartspace with Amy Lipton. Produced in partnership with Terra Nova: Nature & Culture. Features columns, essays, poetry, art, interviews, reviews and more with a focus on a "symbiosis of the built and natural environment." Includes an archives, links and e-news. Produced by the Women Environmental Artists Directory with Susan Liebowitz Steinmann, editor.Publishing for the magazine began in 2009 and Issue #2 is just out in 2010. Includes sections: "On My Mind", Reviews, Featured Artists and articles by ecoartists and others. Brady, James, guest ed. Arts and Ecology. Special issue in Green World Online. GW79, Winter 2013. Published by the Green Party, London, England. Jai Redman. Artists & Activists. Taking the Culture Beyond Oil (artists/activists question the funding of art institutions by the oil industry). Denson, Roger G. Timeline of Left Social and Political Art. A series of articles in the Huffington Post. intersperses examples of ecoartists' works within the concept/context of the "left." Previous articles in this series are linked from this article. Eernstman, Natalia and Arjen E.J. Wals. Locative Meaning-making: An Arts-based Approach to Learning for Sustainable Development in Sustainability 2013, 5(4), 1645-1660. April 18, 2013. Open access:http://www.mdpi.com/journal/sustainability/special_issues/sustainability-education. Included in a special issue on "Sustainability in Education: a Critical Reappraisal of Practice and Purpose." Volume 17, Issue 4, 2012, 1-150. Volume 27, Issue 1, 2013, 1-172. "This special issue of Third Text, dedicated to contemporary art and the politics of ecology, investigates the intersection of art criticism, politico-ecological theory, environmental activism and post-colonial globalization" with a focus on "eco-aesthetics." Art: A Vision of the Future. Third Text: Critical Perspectives on Contemporary Art and Culture, 23: Issue 5, September 2009. - Maja and Reuben Fowkes. Planetary Forecast: The Roots of Sustainability in the Radical Art of the 1970s. 670-674. - Rasheed Araeen. Wangari Maathai: Africa's Gift to the World. 673-678; Ecoaesthetics: A Manifesto for the Twenty-First Century. 680-684. - Rustom Bharucha. On Bones and Brooms: Re-Materializing the Imaginary of the Future, 631-641. Vol. 65, no1. Spring 2006, 54-81. A special section of essays inspired by a daylong series of events and conversations at the 2005 Annual Conference of the College Art Association in Atlanta in 2005, organized by Linda Weintraub and supported by Creative Capital responding to the confluence of art, environment, community and education with a focus on eco-conscious artistic applications and systems (as distinguished from egoic artistic practice). - Linda Weintraub: Eco-tistical Art introduction; I Seem to Be a Verb: R. Buckminster Fuller as Pioneering Eco-Artist; "Final Thoughts: Eco-Art Practice. - Patricia Phillips [Betty] Beaumont: Who Survives? - Stephanie Smith. Suzanne Lacy and Susan Leibovitz Steinman --The Confluence of Conservation Ecology and Community Economics. - DeWitt Godfrey. Maureen Brennan--Working the System: Red Tape, Bureaucracies, Permits, Insurance, Protocols, Parking and Port-a-Potties. - Victoria Vesna. Mel Chin--Provocative Eco-Art in Action. - Ann Rosenthal. Billy X. Curmano--Bringing an Eco-Art Tributary into the Media Mainstream by Swimming the Mississippi. - Deborah J. Haynes. Ruth Wallen and Bevely Naidus--Exploring a City Block as a Micro-Ecosystem. - Kanta Kochhar-Lindgren. Jennifer Monson: Multisensory Exploration of the Multidiminsional Environment. - David Burns. Eve Andree Laramee--Topophilia: Research as the Genesis of Love of the Environment. - Hannah Higgins on Kinji Akagawa--Artistic Journey from the Egotistical Self to the Eco-tistical Self: Shifting the Focus from Maker to Relationship. - Sam Bower on Get Information, Give Information: Facilitating the Production and Teaching of Environmental Art. Art Water and the Environment. Arts and Healing Network News, June 2005. Interview with Mary Montcastle Eubank about Gallery Route One's environmental art program, With the Earth and their upcoming series of events, called California Current. ; links to WEAD (Women Enviromental Artists Directory) artists working with water: Jackie Brookner, Basia Irland, and Aviva Rahmani; and Exit Art's 2006 exhibit, The Drop: An Exhibition Concerning Water and the Environment. Toward an Ecological Ethos in Art and Architecture, The Structurist, 43/44, 2003/2004. Return of the Plains Bison to the Praries and the Return of Honor ( Sharon Butala), An Ecological Ethos in Presocratic Thinking: Can we Really Learn Anything from the Past? (Kevin Corrigan); The Reflecting Pool, Place of the Ten Thousand Things (Courtney Milne), Can Universities Promote an Ecological Ethos? (John B. Cobb, Jr.), Architecture and the Global Ecological Crisis: From Heidegger to Christopher Alexander (Arran Gare); Art and the Big Picture (Suzi Gablik); The Road Past the Selfish Landscape (David Rothenberg); Philosophical Urbanism and Deconstruction in City-Form: An Environmental Ethos for the Twenty-First Century (Abraham Akkerman); Biocentrism and the Bauhaus (Oliver A. I. Botar); An Imaginary Trialogue on Abstract Art: Kandinsky, Kupka and Mondrian in Conversation (Patricia Railing), For A Dialogue on the Future of Abstract Art (Eli Bornstein). Architecture and Ecology. The Architectural Review. 203:1214, April, 1998, 39-83. (10 article special section). The Architecture of Ecology. Architectural Design (London). Vol 67, January/February, 1997. (24 article special section). Art Education: The Journal of the National Art Education Association, 50:5, November, 1997 (10 article special issue). Stankiewicz; Mary Ann and Don H. Krug, Editorial: Art and Ecology; Deborah Birt; Don H. Krug and Mary Sheridan. Earthly matters: Learning Occurs When You Hear the Grass Singing ; Ronald W. Neperud. Art, Ecology, and Art Education: Practices & Linkages; Cynthia L. Hollis. On Developing and Art and Ecology Curriclum: Elizabeth B. Reese. Mind Mapping Texas Lanscapes: Postmodern Pedagogy With or Without Computers; Frances E. Thurber. Creating Curricula About Local Urban Environmental Art; Doug Blancy and David Cowan. iMAGiNE! Yellowstone: Art Education and the Rehabilitation of Place; Louis E. Lankford. Ecological Stewardship in Art Education. Art and Ecology (guest editor, Jackie Brookner). Art Journal, 51:2, Summer, 1992, 8-88. (20 article special section). Awards for Place Design and Place Research. Places, 12:1, Fall, 1998. Environmental Aesthetics Journal of Aesthetics and Art Criticism., 56:2, Spring 1998. (11 article special issue). Environmental Art. IO: The Internet Magazine of Applied Asthetics. No.10, Summer, 1998.
International forum for applied aesthetics. Produced by the International Institute of Applied Aesthetics, LAMK/Institute of Design (Multimedia Department), The University of Helsinki (Department of Aesthetics) and Associates. http://www.lpt.fi/io/co. The Garden, Literature and Landscape. Journal of Garden History. Vol. 17, July/September, 1997. The Greening of the Art World. Art News, Vol 90. Summer 1991. (3 article special section). Three articles explore a paradigm shift in the art world toward concern for the environment coming from three different perspectives. Cembalest, Robin. The Ecological Art Explosion, 96-105. Hochfield, Sylvia. Mortal Monuments, 114-129. Argues basically for the preservation of cultural objects on par with preserving the "natural" environment. Greening the Scene: Design For and With Green Space Abitaire no331 July/August, 1994. (5 article special section). Into the Environmental Decade. Town & Country Planning, vol. 59, January 1990. (12 article anthology). Modern Landscape Ecology. Whole Earth: Access to Tools, Ideas and Practices, Summer, 1998. On the Ecology of Creativity The Structurist, No.33/34, 1993-1994. 5-55, 66-75. (14 article special section). Participation with a View (theme). Places , 12:2, Winter 1999. Sustainability: Environmental and Economic Factors. Town & Country Planning, Vol.61 October 1992 258-60, 265-8, 282-4, 286. (5 article special section). Stadt und Gesundheit. Werk, Bauen + Wohnen, 78:45, November 1991, 20-69. (7 article special section). On Human Ecology. Preserving Our Natural Resources. American Artist, vol. 54, August 1990. (13 article anthology). Sons and daughters. Public Art Review. Vol. 9, No. 2, Spring/Summer 1998, 4-23. (5-article special section on children and public art). What is Ecology to You?. A+U, No.320, May 1997. Eleven critics and architects respond: Special issue on sustainable architecture. What is Nature Now? Harvard Design Magazine, vol. 10, Winter/Spring 2000. (13 article anthology). Women, Ecology and the Environment. National Women's Studies Association Journal, vol. 9, No. 3, Fall 1997. (10 article anthology). The Mechanical and the Organic in Art and Architecture. The Structurist, Nos. 35-36, 1995-1996. Art/Environment/Ecology. High Performance. 10:4, 1987, 22-59. (7 article special section). Art of the Future: the Future of Art. Leonardo, 20:4, 1987. Deep Nature. Studio Potter, Vol. 19, December 1990, 18-75. (16 article special section). On Nature and Art. The Structurist, No.23/24, 1983-1984. Creation/Destruction/Creation in Art and Nature. The Structurist, No.7 1967. Wallen, Ruth. Ecological Art: A Call for Visionary Intervention in a Time of Crisis. Leonardo, Vol. 45:3 235-242, 2012. A short interview of artist/photographer Dusseault with Misrach on his commissions, experiences, opinions and aesthetics in the context of photographing the transformation and destruction of the American landscape due to industry. Images include (some are partial images): Holy Rosary Cemetery and Union Carbide Corporation (Crucifix), 2000; Dead Animals #454, 1988, Desert Fire #1 (Burning Palms), 1983; Abandoned Trailer Home and Mississippi River, Light House Road, 1998; Swamp and Pipeline, Geismar Louisana, 1988, Dow Chemical Corporation (night) Plaquemine, Louisiana, 1998. Dusseault at the time of this writing was photographing the "redevelopment of a 100-year old mill site located on 140 acres in downtown Atlanta." Wallen, Ruth. Of Story and Place: Communicating Ecological Principles through Art. Leonardo, Vol 36: 3, 179-199, 2003. Manczak, Aleksandra. The Ecological Imperative: Elements of Nature in Late Twentieth-Century Art. Leonardo, Vol. 35 No.2, 2002, 131-6. Bourriaud,Nicolas. The Work of Art in the Age of Ecological Recycling: Benjamin's Aura Turns Green. Flash Art (International Edition) No. 167, November/December, 1992, 60-3. Berensohn, Paulus. Comment: A Deeper Sense of Ecology. Ceramics Monthly. Vol. 39, Sept 1991, 90-96. A rare essay for its time by a practicing artist. The ceramist and teacher, with a watchful eye on consumerism, contemplates his belief in the idea of "thingness", making, and the postive side of the evolution of craft as: relationship with materials, sensing (our first-hand connection to to the living, "actual" world), articulating gratitude for our gifts ,trusting the imagination, and discovering anima mundi (the soul of the world) to find the "healing night of ourselves." Berensohn draws inspiration from his own intimate connections with clay as a "conduit to wildness" as well as from ecological thinkers and ideas of our time including ecologian Thomas Berry (deep ecology), art historian and critic Suzi Gablik (ecological art), poet Gary Snyder (bioregionalism), psychologist James Hillman (ecopsychology before the name was coined!) and poet Robert Bly (expressive men's movement). Editorial commentary in italics after the article states, "His thoughts on the craft arts and a more substantial sense of ecology were first delivered as part of an evening presentation entitled "Don't Just Do Something, Stand There" at the Clay Studio in Philadelphia last spring." Berensohn authored the book, "Finding One's Way with Clay: Pinched Pottery and the Color of Clay" (Simon and Schuster, 1968) which reflects in many ways the spirit of the 1991 article, evidencing decades of the artist's ecological consciousness. Ellis, Simone. Lynne Hull: ProNatura. Public Art Review, Vol 10, No. 2, Spring/Summer 1999, 28-9. Hank, Bull. Steps Toward a Cultural Ecology. (LITTORAL, New Zones for Critical Art Practice: Manchester, England conference). High Performance Vol. 17, Winter 1994, 40-3. Leviseur, Elsa. Avant Garde Ecology. (California Landscape Design) Architectural Review , Vol. 191, September 1992, 53-8. Matilsky, Barbara. The Survival of Culture and Nature: Perspectives on the History of Environmental Art. Art & Design, Vol 9, May/June 1994, 6-15. Matilsky, B. Art and Ecology - The Museum as Activist. (reprint Queens Museum of Art, Flushing, N.Y.) Museum News 71:2, March/April, 1992, 46-49. Sponsoring ecological art to broaden a museum's mission and help design it's role in society. Miles, Malcolm. A Green and Pleasant Land? Ecological Art in the U.K. Public Art Review 10:1 Fall Winter 1998, 26-9. Naess, Arne. Deep Ecology and the Potters in (sic) Our Planet. Studio Potter, Vol 20, June 1992 , 39-9. Rowe, J. Stan; Obermayr, Lorna; Bornstein, Eli. Dialogue on Art and Ecology. The Structurist , No.37/38 p. 62-9, 1997/1998. Sanders, Patricia. Eco-art: Strength in Diversity. Art Journal, Vol 51, Summer 1992, 77-81. Dunn, David. Wilderness as Reentrant Form: Thoughts on the Future of Electronic Art and Nature. Leonardo, Vol. 21, No. 4, 1988, 377-82. Proceeding from an assumption that electronic representations of the natural environment (both recorded and real time) not only can help give humanity a greater awareness of the complexity of the non-human world but also can contribute toward alleviating the problems posed by recreational overuse of the wilderness, the author argues for institutional encouragement of technologically sophisticated artists working toward this possibility. Current examples of artistic works are discussed within a philosophical context. A detailed article focusing on the the ideas and activism of the landscape painter who helped "refocus" the genre of landscape painting toward examining "the role of art, nature and ecology." Gussow resigned a professorial and departmental chairmanship at the Parson's School of Design to dedicate more time toward that end. He worked with environmental organizations, established an Artist-in-Residence program in the U.S. National Parks, and authored the landmark book "A Sense of Place --The Artist and the American Land" (Friends of the Earth/Seabury Press, 1972) among other accomplishments. The artist is quoted as saying: "When an artist paints the landscape, it's a way of attaching a value to it. What we're doing is saying, 'these places have real value.'" The artist's thoughts on earthworks, distortion of the visual field and scale with power lines and billboards, ecological diversity and "landscape types," notions of the scenic and the pastoral, and more, are revealed. Rees, Ronald. Environmental Crisis and the Artistic Vision. Alternatives 3; 4; 4-7, 1974. Capra, Fritjof. From the Parts to the Whole: Systems Thinking in Ecology and Education. Photocopy. Berkeley: Center for Ecoliteracy, 1994. Hollis, Cynthia L. On Developing an Art and Ecology Curriculum. Art Education, 50:6,1997, 21-24. Hull, Lynne. Beyond Illustration: Sculpture Trails and Parks as Envrionmental and Historic Interpretation. Legacy 7:1, January/February, 1996, 24-27. Kangas, Patrick. Art and the Ecosystem. American Biology Teacher 60:1, January 1998, 20-26. Das globale Wasserforum / The Global Forum on Water. European Photography, 25 no75 Summ 2004, 9-12. Statements made at an interdisciplinary Global Forum on Water upon the initiative of FotoFest. "The four-day conference brought together leading scientists, policymakers, philosophers, urban designers, artists, water experts, and public health experts to discuss the "State of Water in the World Today" and "Revisioning Water -- The Future." See: www.photofest.org. Green Art.The Artist. (Tenterden, England) Vol. 107 January 1992, 32-3. Green Apple Map. Places. Vol 9 Winter, 1995. Shows New York's "green" sites and activities. 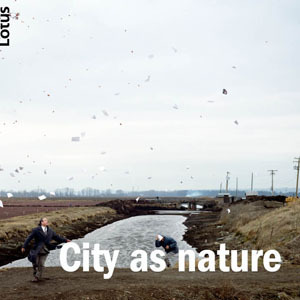 Arts Journals: Selected Articles, Landscape Architecture Leviseur, Elsa. Avant-garde Ecology (California Landscape Design). Architectural Review, Vol. 191, September, 1992, 53-8. Smithson, Robert. Frederick Law Olmsted and the Dialectical Landscape. Artforum 11: February 1973, 62-68. Wines, James. Prospect: the Ghosts of Modernism Haunt Eco-Politics and the New Spirit. Landscape Architecture. Vol. 82, January 1992, 120. Akerman, Abraham. Altruism and Egoism: The Garden and the Citadel. The Structurist. Nos. 41/42 (2001/2002) 65-72. Fry, Tony. Remakings: Ecology, Design, Philosophy. Journal of Design History, Vol. 7, No. 4, 1994, 301-5. United Nations Environmental Program, The Society of Illustrators and the Earth Island Institute, New York. Novum Gebrauchsgraphik. Vol. 62, May 1991, 36-41. Tucker, Viemeister. Toward a New Ecology. Communication Arts Magazine. 40:6, November 1998, 250. This is a selective section of interdisciplinary resources recommended by greenarts.org or by colleagues and other individuals involved, working or contibuting in some way to the arts and ecology. For the sake of organization, an attempt has been made to divide works into categories, though overlap can be significant in many areas. ...for a good listing of books deemed "popular" on the environment and ecology across disciplines including fiction, non-fiction and children's books, link to http://www.goodreads.com/shelf/show/ecology. Note: Aesthetics here is defined here very widely from the traditional definition of a sense of beauty to a new paradigm of awareness and activism. Fisher, Philip. Wonder, the Rainbow and the Aesthetics of Rare Experiences. Cambridge, Mass. : Harvard University Press, 1998. Griffin, Susan. Can Imagination Save Us? Utne Reader, July/August, 1996, 43-46. First published as To Love the Marigold: The Politics of Imagination in Whole Earth Review, Spring 1996. Haeg, Fritz and Diana Balmori. Edible Estates: Attack on the Front Lawn. A project by Fritz Haeg. New York: Metropolis Books, 2008. Edible Estates is an "ongoing series of projects" primarily across the U.S. facilitated by Fritz Haeg (artist, architect and educator) "to replace the front lawn with edible garden landscapes responsive to culture, climate, context and people." Not to be missed are Haeg's Preface and Diana Balmori's introduction entitled "Beauty and the Lawn: A Break with Tradition." Essays by Haeg, Michael Pollen, Leslie Stem and Rosiland Creasy provide insights into the history and development of the lawn as an American institution and explore/challenge its viability today. Most of the book profiles the Edible Estates Regional Prototype Gardens and provides "Reports from Coast to Coast" chock-full of logs and narratives of citizens describing their projects and experiences in transforming their lawns. There is a section on on how Haeg selects candidates for the project, and how readers can establish their own edible estate. Also included is a Plant Hardiness Zone Map of the U.S. Mainland, a Regional Planning Calendar, statistics on the lawn and its effects, institutional resources and a bibliography. There is a good deal of useful information and cogent thought here, brought together by the excellent design of the book, making the contents very accessible and readable. Table of Contents: Full-frontal gardening / Fritz Haeg -- Why mow? The case against lawns / Michael Pollan -- The great grid / Lesley Stern -- My house in the garden / Rosalind Creasy -- About the Edible estates gardens -- Garden #1 : Salina, Kansas / Stan Cox -- Garden #2 : Lakewood, California / Michael Foti -- Garden #3 : Maplewood, New Jersey / Michelle Christman -- Garden #4 : London, England / Fritz Haeg -- Zone 10 : Los Angeles, California / Lisa Anne Auerbach and Louis Marchesano -- Zone 10 : Pasadena, California / Christopher Brandow -- Zone 8 : Austin, Texas / Justin Bursch -- Zone 8 : Austin, Texas / Kelley Green -- Zone 8 : Austin, Texas / J Muzacz -- Zone 7 : Narbeth, Pennsylvania / Leah Swann -- Zone 7 : Richmond, Virginia / Chris Edwards -- Zone 6 : Needham, Massachuetts / Dorothy Stark -- Regional planting calendars. Marx, Leo. The Machine in the Garden: Technology and the Pastoral Ideal in America. New York: Oxford University Press, 1964. "Debate...on the ecological role and character of images...use of images to tell ecological stories...ecology of the image industry itself considered in all aspects of production, distribution, and consumption". Explores ideas such as the "ethics of seeing". Tuan, Yi-fu. Topophilia : A Study of Environmental Perception, Attitudes, and Values. New York : Columbia University Press, 1990. Macy, Joanna and Brown, Molly Young. Coming Back to Life: Practices to Reconnect Our Lives, Our World. Gabriola Island BC, Canada and Stone Creek CT: New Society Publishers, 1998. With a message from the Dalai Lama and forward by Mathew Fox. Macy, Joanna and Fleming, Pat. The Council of All Beings in Alan Drengson & Yuichi Inoue, The Deep Ecology Movement: An Introductory Anthology. Berkeley, California: North Atlantic Books, 1995. A non-profit international religious organization centered in the San Francisco Bay area using a tradition of witchcraft that began in the 1980's "working to unify spirit and politics." Holds public rituals and other events; offers classes including intensive study at witch camps. Web site is educational and detailed with articles and essays related to this particular practice. Publishes books and music and a resourceful online magazine Reclaiming Quarterly. A non-profit organization of scientists, educators, activists and others working out of Petersham, Massachusetts. Through workshops, expeditions and indigenous exchanges "SEN strives to empower people to work in defense of the biosphere and to create a sustainable culture" through the beliefs "that all of nature is sacred and must be treated with respect and honor, and that humanity must quickly restructure its relationship with the miraculous, interconnected liviing system that is our Earth." Web site includes an archive of activities and testimonials, a newsletter, calendar of events and a web list of related organizations. The emergence of ecofeminist theory has had a significant impact on environmental artists, especially women artists and their work. The following is a selection of some influential writings. Diamond, Irene. Fertile Ground: Women, Earth, and the Limits of Control. Massachusetts: Beacon Press, 1994. "Twenty-seven notable authors form diverse cultures on the cutting edge of thinking about the environment give us their views on the serious plight facing our planet...With the birth of the women's movement in the late 1960's, feminists took apart the basis used to justify men's control over women and by extension of the earth. Explores alternatives to the traditional "woman is to nature as man is to culture" formulation, offering a more creative sense of identity which embraces all people and things. Of particular note is Irene Javors's essay on the urban goddess..." From Cassandra Langer, Feminist Art Criticism: A Annotated Bibliography. New York: G.K. Hall, 1993. Ferry, Luc. The New Ecological Order. Translated by Carol Volk. Chicago: University of Chicago Press, 1995. Gaard, Greta Claire. Ecofeminism: Women, Animals, Nature. Philadelphia: Temple University Press, 1993. Gaard, Greta Claire. Ecological Politics: Ecofeminists and the Greens. Philadelphia: Temple Unversity Press, 1998. Griffin, Susan. Women and Nature: The Roaring Inside Her. New York: Harper and Row, 1978. "A virtuoso piece of feminist writing. The form is an intricate dialogue between a patriarchal voice and a chorus of women and nature. The patriarchal voice insists that we are separate from nature, and indeed superior to it, while the women's voices explain how we are all embedded in nature. Ultimately, the analogy between women and nature gives rise to a new way of seeing and is enunciated in a section entitled "Her Vision." These meditations laid esssential groundwork for women artists and their expressions on the subject." From Cassandra Langer, Feminist Art Criticism: A Annotated Bibliography. New York: G.K. Hall, 1993. Haraway, Donna J. Simians, Cyborgs and Women: The Reinvention of Nature. New York: Routledge, 1991. King, Ynestra. "Feminism and the Revolt of Nature." Heresies, 4, no.1 (Issue 13: Earthkeeping/Earthshaking: Feminism and Ecology, 12-16. "Discusses radical feminism, ecology, and social feminism in the context of the dialectic of dualism, arguing for integration of traditional women's ways in order to transcend men's denial of their female selves as projected in nature. Concludes that ecological feminism is about reconciliation of the world that is nondualistic." From Cassandra Langer, Feminist Art Criticism: A Annotated Bibliography. New York: G.K. Hall, 1993. Lippard, Lucy. Overlay:Contemporary Art and the Art of Prehistory. New York: Pantheon Books, 1983. "A provocative sociopolitical exploration of contemporary artists' renewed interest in ritual, myth and civilization. A well-balanced application of "femmage"....and fascinating expositions that raise questions concerning the meaning of the nature/culture debate in relation to spirituality from prehistoric times to the present day." From Cassandra Langer, Feminist Art Criticism: A Annotated Bibliography. New York: G.K. Hall, 1993. Mellor, Mary. Feminism and Ecology. Washington Square, N.Y., New York University Press, 1997. Merchant, Carolyn, ed. Ecology: Key Concepts in Critical Theory. New Jersey: Humanities Press, 1994. Merchant, Carolyn. Radical Ecology: The Search for a Livable World. New York: Routledge, 1992. Merchant, Carolyn. The Death of Nature: Women, Ecology and the Scientific Revolution. New York: HarperCollins, 1989 (with new preface). First published San Francisco: Harper and Row, 1980. "An important and complex book, exploring the historical connection between women and nature, men and science, from the middle ages to the present. A must for anyone interested in the ecofeminist movement and the sexual politics of exploitation and gender when it comes to "Mother Earth." From Cassandra Langer, Feminist Art Criticism: A Annotated Bibliography. New York: G.K. Hall, 1993. Navaretta, Cynthia. "Helene Aylon." Women Artists News, 14, no.1-2, Spring/Summer 1989, 40-42. "Reviews Aylon's antinuke installation project SAC and Rescued Earth/Endangered Earth Sac ", in which artists visited thirteen nuclear sites collecting an rescuing desecrated earth. The eco-activist project culminated at a rally at the U.N. In the same issue see Jeanne Claude Christo, "Can We Shrug This Off?" (p.41) concerning Aylon's trial of 29 August 1988, which touches on the destruction of this project through the negligence of Richardson's Fine Art Handlers Co, San Francisco. Aylon's trial accents the double injustice that environmental and political activists generally experience at the hands of a patriarchal legal system." From Cassandra Langer, Feminist Art Criticism: A Annotated Bibliography. New York: G.K. Hall, 1993, 199. Norwood, Vera. Made From this Earth: American Women and Nature. Chapel Hill: University of North Carolina Press, 1993. Plant, Judith, ed. Healing the Wounds: The Promise of Ecofeminism. Philadelphia: New Society, 1990. Shiva, Vandana. Staying Alive: Women, Ecology and Development. London: Zed Books, 1988. Sturgeon, Noel. Ecofeminist Natures: Race, Gender, Feminist Theory and Political Action. New York: Routledge, 1997. Warren, Karen J. Ecofeminism: Women, Culture, Nature. Bloomington: Indiana University Press, 1997. Warren, Karen J. Feminism and Ecology: Making Connections. Environmental Ethics, Vol. 9, 1987. Hawkin, Paul. The Ecology of Commerce. New York: HarperCollins, 1993. Orr, David W.. Earth in Mind: On Education, Environment and the Human Prospect. Washington, D.C. ; Covello, California: Island Press, 1994. Orr, David W. Ecological Literacy: Education and the Transition to a Postmodern World. SUNY series in constructive postmodern thought. Albany: State University of New York, 1992. Davis, Peter. Ecomuseums: A Sense of Place. London and New York: Leicester University Press, 1999. Davis, Peter. Museums and the Natural Environment. London ; New York : Leicester University Press, 1996. Examines how "environmentalism has changed the ways that museums, especially natural history museums, perceive themselves and their roles in society." Shepard, Paul. Nature and Madness. Athens: The University of Georgia Press, 1998. Originally published as Nature and Madness: An Investigation of Ecology and Psychohistory. San Francisco: Sierra Club Books, 1982. Art and Morality: The Relevance of Art. The Structurist, No. 10, 1970. Anthology of articles on the theme of art and morality. Bennett, Jane and Chaloupka, William, eds. In the Nature of Things: Language, Politics and the Environment. Minneapolis: University of Minnesota Press, 1993. Ereira, Alan. From the Heart of the World the Elder Brothers' Warning. New York: Mystic Fire Video, 1991. A BBC TV production in association with the Goldsmith Foundation. "Deep in the mountains of Colombia, the Kogi tribe (Kagaba Indians), descendents of an ancient Tairona priesthood, "call themselves the Elder Brothers of the human race, and are convinced that we, the Younger Brothers, will soon destroy the balance of life on Earth. They believe that the only hope is for us to change our ways, and have set out to teach us what they know about the balance of mankind, nature and the spiritual world." Jonas, Hans, trans., in collaboration with David Herr. The Imperative of Responsibility: In Search of Ethics for the Technological Age. Translation of Prinzip Verantwortung. Chicago: University of Chicago Press, 1984, 1985. Points to the development of a new ethics in conjunction with unprecendented change "in the nature of human action" in the development of technology. Recommended by Terry Collins on his web site for the Institute for Green Oxidation in Chemistry as "a brilliant book, which should be read by anyone concerned about sustainability." Dr. Seuss. (Theodor Seuss Geisel). The Lorax. New York: Random House, 1971. Merwin, W.S. Unchopping a Tree from Chris Anderson and Lex Runciman, eds, in A Forest of Voices: Conversations in Ecology, Mayfield, Pub., 1990. Sterba, James P. Earth Ethics: Environmental Ethics, Animal Rights and Practical Applications. New Jersey: Prentice Hall, 1995. Fox, Warwick. Toward a Transpersonal Ecology : Developing New Foundations for Environmentalism. Totnes, Devon : Green Books, 1995. Originally published: Boston, Mass. : Shambhala, 1990. Author's doctoral thesis--Murdoch University, 1987. Effect of human beings on nature. Mardigan, Sandra. The Precautionary Principal in Timeline (Foundation for Global Community) No. 73, January/February 2004. Pollan, Michael. "Precautionary Principal" in The New York Times Magazine , "The Year in Ideas: An Encyclopedia of Innovations, Conceptual Leaps, Harebrained Schemes, Cultural Tremors and Hindsight Reckonings that made a difference in 2001," December 9, 2001, 92. "A Bioregional Quiz" from Northwest Earth Institute. Discussion Course on Deep Ecology. Portland: Oregon: Northwest Earth Institute, 1998. A series of questions one can ask to get an idea of the level of awareness one has of her/his local environment. A great classroom exercise and tool. Note: A web search on "bioregional quiz" will reveal many different forms of bioregional quizzes and their applications. Leopold. Aldo. "The Land Ethic" in James P. Sterba, Earth Ethics: Environmental Ethics, Animal Rights and Practical Applications, 1st edition, 1995. Oelschlaeger, Max. The Idea of Wilderness: From Prehistory to the Age of Ecology. New Haven: Yale University Press, 1991. Ponting, Clive. A Green History of the World. New York: Penguin Books, 1991. Robertson, George, ed. FutureNatural: Nature, Science, Culture. London; New York: Routledge, 1996. Sale, Kirpatrick. The Conquest of Paradise: Christopher Columbus and the Columbian Legacy. New York: Penguin Books, 1990. Worster, Donald. Nature's Economy: A History of Ecological Ideas. 2nd edition. Cambridge; New York: Cambrdge University Press, 1994. Earlier edition published in 1985 in series called "Studies in Environment and History". Wheeler, Michael, ed. Ruskin and the Environment: The Storm-Cloud of the Nineteenth Century. Manchester, UK; New York: Manchester University Press, 1995. Lakoff, George. Metaphors We Live By. Chicago: University of Chicago Press, 1980. Thomas, Lewis. Et Cetera, Et Cetera: Notes of a Word-Watcher. Boston: Little, Brown, 1990. Anderson, Chris and Lex Runciman. A Forest of Voices: Conversations in Ecology. Mountain View, Calif.: Mayfield Publishing, 2000, 1995. A text book first published as A Forest of Voices: Reading and Writing the Environment by Chris Anderson. A good introduction to many authors who have written on the environment. Includes reading and writing assignments. Bishop, Amy. Nature and Literature: Nature Writing, Ecofiction, Nature Poetry, Ecocriticism. Masters Programs in Library and Information Science. Last updated March, 2012. A selective LibGuide to "reference sources for undergraduates studying the intersections of nature and literature." Marx, Leo. The Machine in the Garden: Technology and the Pastoral Ideal. New York: Oxford University Press, 1964. This beautifully written literary "scenario" about an attempt to rebuild a tree that has been chopped down realizes the futility of the exercise and points to an ethic of care, responsibility and the precautionary principal (you don't know what you've got 'til it's gone). Quinn, Daniel. Ishmael: An Adventure of the Mind and the Spirit. New York:Bantam/Turner, 1992. Quinn, Daniel. My Ishmael: A Sequel. New York: Bantam, 1997, 1998. Stephenson, Neal. Zodiac: An Eco-Thriller. New York: Bantam, 1988. Williams, Terry Tempest. In the Shadow of Extinction. The New York Times, February 2, 2003. (Late edition, East Coast). Reflection written on Groundhog's Day; reflecting on the North American prarie dog and how the elimination of one species effects others. Bill McKibben: The End of Nature, Random House (New York City), 1989; The Age of Missing Information, Random House, 1992; Hope, Human and Wild: True Stories of Living Lightly on the Earth, Little, Brown: Boston, MA, 1995; The Return of the Wolf: Reflections on the Future of Wolves in the Northeast, (co-author) University Press of New England, 2000. Enough: Staying Human in an Engineered Age, Times Books/Henry Holt, 2003; and others. Consumption is a topic often addressed in his writings. Monmier, Mark. How to Lie With Maps. Chicago: University of Chicago Press, 1991. Bennett, Jane. Vibrant Matter: A Political Ecology of Things. Durham: Duke University Press, 2010. Table of Contents: The force of things -- The agency of assemblages -- Edible matter -- A life of metal -- Neither vitalism nor mechanism -- Stem cells and the culture of life -- Political ecologies -- Vitality and self-interest. Bookchin, Murray. What is Social Ecology? in James P. Sterba, Earth Ethics: Environmental Ethics, Animal Rights and Practical Applications, 1st edition, 1995. Bookchin, Murray and Foreman, Dave. Defending the Earth: A Dialogue Between Murray Bookchin and Dave Foreman. Boston, Mass. : South End Press, 1991. (Edited with an Introduction by Steve Chase. Foreword by David Levine). The author highlights some key points from some of Murray Bookchin's writings.The Green Fuse site also contains a glossary and forum links on social ecology. "Social Ecology n 1: a coherent radical critique of current social, political and anti-ecological trends. 2: a reconstructive, ecological, communitarian, and ethical approach to society. " A "personal" interpretation by Treesong of Illinois on the philosophy of social ecology. Includes a brief introduction to social ecology including the ideas of First Nature and Second Nature and some key terms and concepts. Ferkiss, Victor. Nature, Technology, and Society: Cultural Roots of the Current Environmental Crisis. New York: New York University Press, 1993. Abram, David. The Spell of the Sensuous:Perception and Language in a More- Than-Human World. New York: Pantheon Books, 1996. Philospher and ecologist examines the importance and dependence of our bodies in connecting with the natural world. Berg, Pamille. Sustainability, Identity and the Redefinition of Self. Transition (Melbourne, Australia) No. 56, 1997, 32-35. Cronan, William, ed. Uncommon Ground: Rethinking the Human Place in Nature. New York: W.W. Norton & Company, 1996. In a kind of loose encyclopedic format, the boundaries of nature and culture are blurred in an exploration of patterns or "markings" on the landscape: physical, spiritual, emotional, social, political and conceptual.. Ninety-seven short essays written by authors in a number of discplines are divided in three main sections. Flow, Site, Matter to explore all manner of these markings: God, Virtual Space, Pipes, Wilderness, Bogs, Farms, Meanders, Pigs, Slums and Archives ( to name a few). An extensive introduction and reader's guide are provided by the editors: "...In this book we are asking questions both about the patterns we see on the ground and also about the ground on which we choose to see those patterns..."
Leopold, Aldo. A Sand County Almanac, and Sketches Here and There. Illustrated by Charles W. Schwartz. New York : Oxford University Press, 1987, 1949. Acclaimed account by the scientist, educator and environmentalist. Recommended as a first read in understanding the concept of bioregionalism. Lippard, Lucy. Lure of the Local: Senses of Place in a Multicentered Society. New York: New Press, 1997. Schama, Simon. Landscape and Memory. New York: A.A. Knopf. (distributed by Random House), 1995. History of the landscape and human ecology. Solnit, Rebecca. Wanderlust: A History of Walking. New York: Viking, 2000. Activist, essayist and critic explores walking as a critical way for humans to remain connected to our environment. Solnit, Rebecca. Savage Dreams: A Journey Into the Hidden Wars of the American West. San Francisco: Sierra Club Books, 1994. Activist, essayist and critic in a narrative of "poetic precision" explores the cultural and physical landscapes of the Nevada Test Site for nuclear testing and Yosemite National Park. Spretnak, Charlene. The Resurgence of the Real: Body, Nature, and Place in a Hypermodern World. New York: Routledge, 1999. Ruether, Rosemary Radford. Gaia and God. New York: HarperCollins, 1992. Gottlieb, Roger S., ed. This Sacred Earth: Religion, Nature, Environment. New York: Routledge, 1996. Moyers on America: Is God Green? Find the transcript here. First broadcast October 11, 2006. Bill Moyers reports on and interviews conservative evangelical Christians (citizen activists, religious leaders, theologians, politicians, academics) on environmentalism and climate change explored in the context common to all evangelicals: the belief that "God is Lord and Savior" and acceptance of the Bible as truth. There is a diversity of opinions among Evangelicals on how the Bible should be interpreted in regard to stewardship and climate change. Issues discussed include history of hostility toward environmentalism, environmental stewardship; environmental evangelicals as "change agents" of Republican politics; tithing trash, mountaintop removal and the the burial of streams, fish kills, degradation of air, water, and human health; the earth as "God's body"; litigation and the coal industry; rifts within and the Association of Evangelical Christians on climate change; climate change as a hoax; environmenmentalism viewed as un-American; meeting of scientists and religious leaders on climate change; the Christian duty to fight climate change (pro and con); Evanglical Climate Intitiative; climate change viewed as an act of God... more. Includes historical news footage.
" A formal alliance of major faith groups and denominations across the spectrum of Jewish and Christian communities and organizations in the United States." Founding partners include the U.S. Catholic Conference, the National Council of Churches of Christ, the Coalition on the Environment and Jewish Life, and the Evangelical Environmental Network. A non-profit religious organization centered in the San Francisco Bay area using a tradition of witchcraft that began in the 1980's "working to unify spirit and politics." Holds public rituals and other events; offers classes including intensive study at wtich camps. Web site is educational and detailed with articles and essays related to this particular practice. Publishes books and music and a resourceful online magazine Reclaiming Quarterly. Zimmerman, Michael B. "Heidegger, Buddhism and Deep Ecology" in The Cambridge Companion to Heidegger. Cambridge and New York: Cambridge University Press, 1993. Carson, Rachel. Silent Spring. Boston : Houghton Mifflin, . Introduction by Al Gore ; drawings by Lois and Louis Darling. One of many editions. The first printing was Boston : Houghton Mifflin ; Cambridge, Mass. : Riverside Press, 1962. Nabhan, Gary Paul. Cultures of Habitat: On Nature, Culture, and Story. Washington D.C.: Counterpoint, 1997. Odum, Howard T. Environment, Power and Society. New York, Wiley-Interscience, 1970, 1971. Shiva, Vandana. Monocultures of the Mind: Perspectives on Biodiversity and Biotechnology, 1993. Bortoft, Henri. The Wholeness of Nature :Goethe's Way Toward a Science of Conscious Participation in Nature. Hudson, NY: Lindisfarne Press, 1996. Also published as The Wholeness of Nature: Goethe's Way of Science. Edinburgh: Floris Books, 1996. Capra, Fritjof. Uncommon Wisdom: Conversations with Remarkable People. New York: Simon and Shuster. 1988. Capra, Fritjof. The Web of Life: A New Scientific Understanding of Living Systems. New York: Doubleday, 1996. Includes: Deep Ecology: A New Paradigm (Chapter 1).Capra, Fritjof. "The New Vision of Reality" in Baile Oakes, Sculpting the Environment, p 5-7 reprinted from Elmwood Quarterly, Fall, 1992. Daston, Lorraine and Park, Katharine. Wonders and the Order of Nature: 1150-1750. New York: Zone Books; Cambridge, Mass. : dist. by MIT Press, 1998. Kellert, Stephen R. and Wilson, Edward O. The Biophilia Hypothesis. Washington D.C.: Island Press, 1993. A cautionary tale by way of an explanation of the Hundreth Monkey phenomenon within the context of the threat of nuclear war. The phenomenon points to how a single action of one individual can create critical mass and change the course of existance for a species. This electronic version published by "special permission of Key Keyes by Q.M.I." First edition book published Coos Bay, Oregon: Vision Books, 1982. Knechtel, John, ed. Alphabet City Media book series. MIT Press, 2006-2010. Marshall, Peter. Nature's Web: Rethinking Our Place on Earth. New York and London. Sharpe, 1996. Seamon, David and Arthur Zajonc. Goethe's Way of Science: A Phenomenology of Nature. Suny Series in Environmental and Architectural Phenomenology. Albany, NY: State University of New York Press, 1998. Biologist and theorist Rupert Sheldrake is the progenitor of ideas such as morphic resonance and humans as receptors. A good audio recording that combines spiritual ecology and Sheldrake's ideas in The Sacred Universe. [audio recording of a discussion with Mathew Fox]]. Boulder, Colorado: Sounds True Recordings, 1993. Affluenza. John de Graf, Vivia Boe producers; John de Graff, writer; co-production of KCTS Television and Oregon Public Broadcasting. Oley, PA: Bullfrog Films, 1997. Using personal stories, expert commentary and old film clips, affluenza is diagnosed as a contagious virus resulting from over-consumption --"an unhappy condition of overload, debt, anxiety and waste resulting from the dogged pursuit of more." Symptoms include: swollen expectations, a rash of bankruptcies, fractured families, hyper commercialism, chronic stress, social scars and global infection. Concepts discussed among many others include affluenza as an actual medical problem, planned obsolesence and waste, GDP (gross domestic product) vs. the GPI (genuine product indicator) and voluntary simplicity. Bioneers [videorecordings] : Revolution from the Heart of Nature. Presented by the Collective Heritage Institute. San Rafael, CA : Distributed by Conference Recording Service, Inc., 2000. Videorecordings of lectures from the Bioneers Conference held in San Rafael, California from Oct. 20-22, 2000. Blue Vinyl. Judith Hefland (director), Daniel B Gold (director, producer, cinematographer) Julia D. Parker (producer); Marty Erlich (composer). New York: Docurama, Dist by New Video Group 2005. Documentary released originally in 2002 by Toxic Comedy Pictures. 98 + 80 min. van Boeckel, Pat. 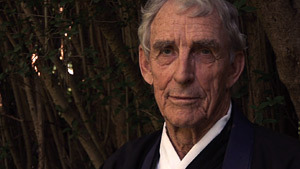 Time Passes: Portrait of Peter Matthiessen, 2011. Broadcast: Wednesday December 21, 2011, BBF Buddhist Broadcasting Foundation; BOS TV Archive, Netherlands. Deep Ecology for the 21st Century[sound recordings] Ukiah, CA : New Dimensions, c1999. From the weekly public radio series "New Dimensions." An in-depth exploration on the state of the planet and what we can do about it. Fox, Matthew and Rupert Sheldrake. The Sacred Universe. [audio recording]. Boulder, Colorado: Sounds True Recordings, 1993. "A physicist and a priest examine the divine force that shapes our existence." "Libby, Montana is a small logging and mining town. This documentary looks at Libby in the context of its being deemed by the E.P.A. as the worst case of community-wide exposure to a toxic substance in U.S. history. In the case of Libby, this substance is asbestos, and hundreds of the townsfolk are sick or have already died from exposure due to asbestos contamination of the W.C. Grace & Co.'s vermiculite mine. The film documents the stories of the people of Libby who have been affected by asbestos poisoning and emphasizes the plight of these people and their supporters to receive recognition of this local tragedy." An effective, short web animation about the environmental and ethical problems surrounding factory farming. Mindwalk [videorecording]. Atlas Production Company in association with Mindwalk Productions; Lintschinger/Cohen production. Film by Berndt Capra; screenplay by Floyd Byars & Fritjof Capra ; produced by Adrianna AJ Cohen ; directed by Bernt Capra. Hollywood, Calif. : Paramount, 1992. Three dissimilar people - a poet, a physicist and a politician - converse while vacationing at Mont. St. Michel. Based on the book The Turning Point: Science, Society and the Rising Culture by Fritjof Capra ; story by Bernt Capra. Originally produced as a motion picture in 1991. Credits: Director of photography, Karl Kases ; film editor, Jean Claude Piroui ; music, Philip Glass. Cast Stars: Liv Ullmann, Sam Waterston, John Heard. "The first obvious difference between machines and organisms is the fact that machines are constructed, whereas organisms grow. This fundamental difference means that understanding organisms must be process-oriented... Whereas the activities of a machine are determined by its structure, the relation is reversed in organisms - organic structure is determined by processes." Pinkola-Estes, Clarissa. Creative Fire: Myths and Stories About Creativity. [2 sound cassettes]. Boulder, CO: Sounds True Recordings, 1991. Howard, David. Geri Taper: Art, Life and Environment as One. San Francisco, Calif. Visual Studies, 1987. Series: David Howard's Art Seen. Kepes, Gyorgy. Art, Technology, and the Environment. London: Pidgeon Audio Visual, 1984 (24 slide set and sound cassette). Lorentz, Pare. The River: A U.S. Documentary Film. Washington, D.C.: National Audiovisual Center, 1937. A poetic/dramatic b&w film on the history of the Mississippi and the consequences of farming and sharecropping resulting in continuous flooding due to clear-cutting and soil exhaustion; visualizes physical, social and psychological devastation. What stands out is how just one river and its tributaries critically effects vast outreaches both human and non-human. A dated (politically motivated?) element is the espousal of using dams as the final answer to environmental devastation. Moyer, Roy and Ries, Martin. Environmental Art, Working with the Elements. Artists Representing Environmental Art with cooperation of Hofstra University Television Institute. New York: A.R.E.A., 1991. Park, Nick. Creature Comforts. Aardman Animations and Expanded Entertainment; producer, Sara Mullock, 1990. A brilliant, funny clay-animation short wherein animals at the zoo say what they think about living there. An Academy Award winner for best animated short, 1990. Produced orginally on videocassette, this has since been distributed in a video film anthology and DVD. Thich Nhat Hahn. The Art of Mindful Living. Boulder, Colorado: Sounds True, 1991. [Two cassette tapes]. Recordings from a five-day retreat lead by Buddhist monk, activist and Nobel Prize nominee Thich Nhat Hanh on being aware in our everyday lives. A good source for spiritual ecological study. Includes meditations on a piece of paper, car meditation, telephone meditation and hugging meditation. Varda, Agnes. Les Glaneurs et la Glaneuse /The Gleaners and I.: Ciné Tamaris and Zeitgeist Video [New York, N.Y.] : Zeitgeist Video, 2002, 2000. [video] 82 min. Inspired by Jean Francois Millet's famous painting "The Gleaners", the artist interviews the gleaners of today --those who gather and reuse food from the fields and the street out of necessity, fun, art and/or ethical reasons. Yakoana: Voice of Indigenous Peoples. Under Your Nose Productions/ Anh D. Crutcher. New York: Parabola Video, 1997. For five minutes, only one representative for all indigenous peoples was allowed to speak at the United Nations Conference on Environment and Development held in Rio de Janeiro. His eloquent and timely words are are entwined within interviews and events of a pre-conference to the Summit called the First World Conference of Indigenous Peoples on Territory, Environment and Development on "concerns about environment, development and the survival of their cultures."